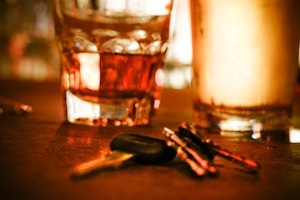 Almost weekly, in the news, there are reports of accidents involving drunk drivers. Alcohol related accidents in which drunk drivers drive in the wrong direction on highways, end up in head-on collisions, crash into homes or buildings, strike pedestrians or flip vehicles ejecting passengers is a tragic reality on the streets and highways of this state. And when there are accidents involving drunk drivers, in addition to personal injury (or wrongful death), other damages may include medical expenses, lost wages, loss of enjoyment of life, funeral expenses, and loss of consortium. As with other auto or truck accidents, the insurance representative will seek to minimize any compensation paid to the victim of a drunk driver accident. Often times, the insurance company will attempt to convince the victim to sign a "release" and accept a small check to settle the claim. Additionally, insurance companies will attempt to obtain recorded statements in the hopes of either denying liability all together or assigning some degree of fault to the accident victim. Thus, it is imperative that you immediately obtain an experienced Auto Accident Attorney who can gather the evidence and hold the drunk driver responsible for the injuries and/or death caused as a result of operating a vehicle while under the influence of alcohol or drugs. Additionally, under Georgia law, punitive damages may be available and recoverable at trial in drunk driving accident cases. Obtaining an experienced Auto Accident Attorney immediately will enable the attorney to contact and obtain witness statements, photographs of property damage, accident reconstruction (if necessary), medical information, lost wages information, as well as, other valuable evidence and information that can be lost due to delay. The Auto Accident Attorneys at Trial Lawyers USA, LLC, are experienced trial lawyers with years of experienced in handling auto accident claims. If you or your loved one has been injured in an accident involving a drunk driver, automobile or truck, call us immediately for a free consultation. Our fees are collected once your case settles or once we obtain a judgment on your behalf at trial. We will come to your location, if preferred. Evening and weekend appointments are available. Call us at: (678) 882-7355.